Nka Foundation is issuing a challenge to designers, architects and builders to use their creativity to come up with modern mud types for rural Gambia. This is a live project! Nka Foundation will select 10 project teams to realize their projects between January 2018 to December 2019. Nka will partner with each team to organize an international building workshop to, onsite, design and build a unit of a vocational skills center. The challenge is to design and build one of the following types for the vocational school: a house type for the international volunteers and visiting staff, dormitory type for local students, cafeteria type, a classroom type, office building type, or dwelling type for the local teachers. You have 10 months to immerse in the local community, conduct site analysis and with some international volunteers build your design through use of local earth and other materials. The project may start in any month of 2018 or early 2019, but must be completed by December 2019. Keep in mind that you are designing for a student population of 200 people. Three local youths will be availabe to serve as your trainee to provide you with manual labor and access to local resources. Is your design buildable? Why not take the design-build challenge and find out! To Nka Foundation, designing is not the whole thing. 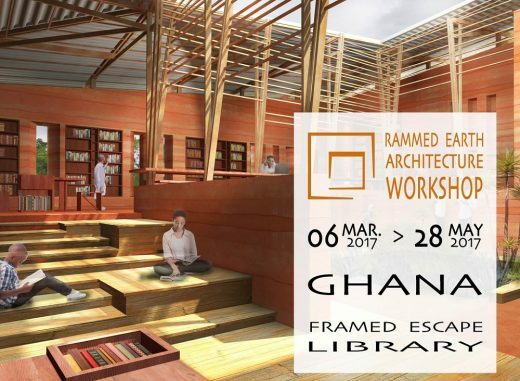 If you are an emerging designer, this is a unique opportunity to learn-by-doing to own knowledge about sustainable design, earth construction and project management. Nka Foundation has come to know that by immersing the young design in the full circle of designing and building own design, at the completion of the design-build process, the emerging practitioner will learn to design what is buildable to make a well-rounded graduate. For the professionals, you will find the hands-on design and construction experience a pause from your office work stress to rediscover the rudiments of architecture and nuances that can refresh your practice. Through an open call for volunteers, each project will bring together volunteers from different countries to help you build your design. Nka Foundation, a nonprofit organization that exists to serve underserved communities in Africa through arts and design. 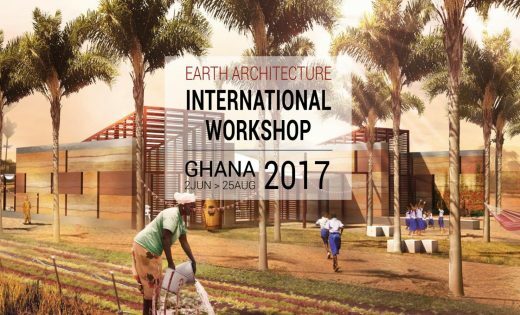 The time has come for the 5th Earth Architecture Competition: Designing a Rural Arts Centre for Senegal.